Yes .When we ask you to share private details with us, such as personal or payment information, we ensure that information is encrypted and protected with the best encryption software in the industry - SSL (Secure Socket Layer). You will notice a lock icon at the bottom of your browser, such as Internet Explorer or Firefox, confirming that you are on an encrypted page when this is required. What is a Cookie, and why are they being used on this website? A cookie is a small piece of information stored by your browser (for instance, Internet Explorer or Firefox) on your computer. It may contain some personal details, the contents of your shopping basket, and date and time information in an encrypted format, which can be recalled when you return to Bavarian Motorcycles Online website to speed up your identification and ordering and delivery processes. To prevent the website from accessing this information, simply disable your cookies in your browser options. Will you sell my e-mail address or personal details to others? Never. Your information is kept strictly confidential and is never disclosed to third parties. 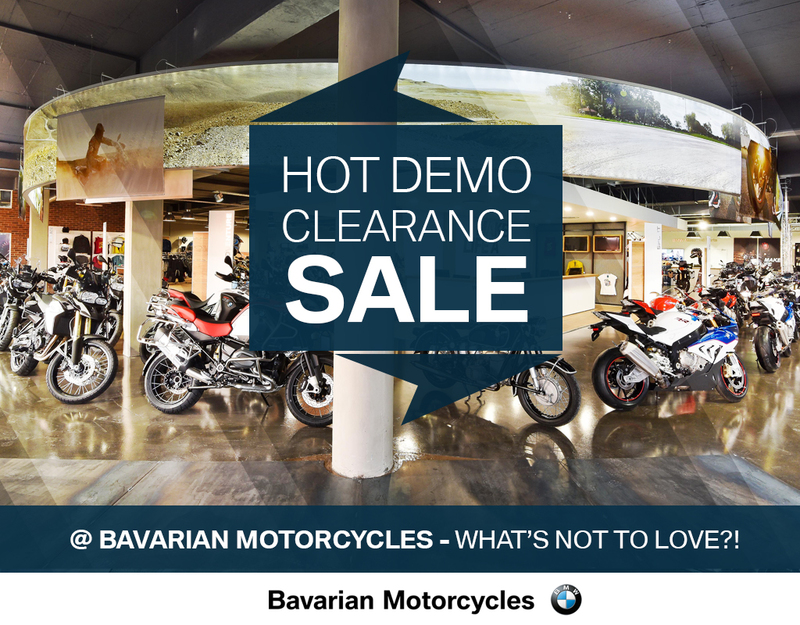 We will also only contact you with news of Bavarian Motorcycles special offers and promotions if you have subscribed to our newsletter. We are committed to protecting your confidentiality and have pledged not to share your information with any outside parties. What happens if someone logs on using my details? You can either request a new password to be sent to you by clicking on the “Forgot Password” link on the login page or contact us for assistance. We do our best to make sure that we have stock on hand of everything offered on our website. We update the website daily and monitor stock of products closely. Despite our best efforts, sometimes we will not be able to deliver certain items you have ordered. If this happens, we will contact you to let you know. The individual price of each item purchased online is calculated with any promotional discounts applied when you check out. The price you see online is the price that you will be charged when your order is fulfilled. Yes. Please contact us and we will assist you to place your order. You can place an order from anywhere, but we only deliver to selected addresses within South Africa at this stage. You’ll see a confirmation page when your order has been successfully authorised, and you will receive a confirmation email with the details of your order to the email address specified. If you can’t find the confirmation email, check your spam/junk mail folders. Contact us if you have any queries about your order. At this stage we are unfortunately not able to sell gift cards online, but we are working on this. How do I find items to shop for online? Our products are arranged in categories which are listed across the top of the website. You can mouse-over each of these categories to see the product groups that each category contains. Click on the category name or product group to see what products it contains. You can also use the search box on our website. Just type in the box the name of the item you are looking for. The website will show you all products that contain your searched word in the description. Please contact us and we will investigate. Allow us to help you with this, please contact us for assistance. This depends on the contents of your order and your delivery location. In general, all items are available for delivery within in 3 - 5 working days depending on availability of stock. We deliver within the major metropolitan areas of the following cities and towns: Pretoria, Johannesburg, Cape Town, Somerset West, Paarl, Franschhoek, Wellington, George, Knysna, Plettenberg Bay, Port Elizabeth, East London, Durban, Pietermaritzburg and Bloemfontein. The cost of delivery is determined by your delivery address and the items that you have ordered. This cost will be displayed on the checkout screen. Click on calculate delivery costs. Why do you not deliver to all of South Africa? We do not yet deliver to all of South Africa, but we’re working on it. We are adding new delivery areas all the time, so if we don’t currently deliver to your area, please keep checking back. No, you cannot receive same day delivery. All items are generally available for delivery within 3 - 5 working days from date of order. Yes! We use the highest standard of encryption when passing payment information between your computer and our website. In addition, credit card details which are used for payment on our website are handled according to international best-practice standards with key data removed and encrypted. We do not record or retain any of the PIN or CVV numbers which are used for authentication of your card. You can pay for your order using any major credit card, including MasterCard, Visa, American Express and Diners Club. Unfortunately we don't accept cash or cheques on delivery. Can I pay in a foreign currency with my credit card? Yes. Our payment processor will accept a non-South African credit card; you will automatically be billed on your credit card statement with the equivalent value in your currency. No. We are only able to accept card payments via our website. You can use the following South African cards: MasterCard, Visa, American Express and Diners Club. Yes. We want you to be happy with your purchases. If for any reason you’re not, you may return items purchased on our website to Bavarian Motorcycles store in Centurion, Pretoria for a full refund, replacement or exchange, provided you have the original tax invoice, and items are returned in a saleable condition within 10 (Ten) working days of receipt of goods in the original packaging. Please note that items purchased on any of our sales promotions may not be returned, exchanged or refunded. For hygiene reasons thermal underwear, underwear, socks, earplugs and buffs, may not be returned or exchanged. Bavarian Motorcycles gift cards purchased will not be refunded and may not be exchanged for cash, and or used for payment of your account with Bavarian Motorcycles or Bavarian Motorcycles Online. Lost or stolen gift cards will not be replaced or refunded. Your refund will be given against the original payment card as specified on your proof of purchase. In the event of a gift return, or no proof of payment being available, we will not be able to refund you.Please note that we cannot make cash refunds for items purchased online. What products and services are available from Bavarian Motorcycles Online? Almost anything you’ll find at Bavarian Motorcycles store is available for purchase on our web site. How do I contact Bavarian Motorcycles?